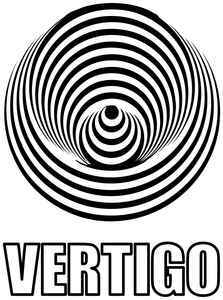 Vertigo Records was founded in 1969 as a label of Philips Records Ltd. in the UK. In 1971 the label was introduced in the US by Mercury Record Corporation. The label is mainly known for releasing many very popular progressive rock albums in the 1970s. Today the label is owned by the Universal Music Group. olav wyper the founder and boss of vertigo has stated that philips/vertigo always pressed 1500 copies of EVERY release, that includes DR Z, CATAPILLA, etc, and patrick campbell lyons who worked in a+r at vertigo has said pressings were a minimum of 1000 per release. hence all unfounded claims that eg 25 or 100 were made of any given vertigo lp are utter nonsense spread by record dealers who would be more suited to selling turnips on london market stalls. one only has to check the popsike website that records ebay auction sales to see how many vertigo lps have been sold, eg 100s of every title. a major company like philips would have no reason to press tiny quantities, and anyone who has released an lp knows that the costs are in the mastering and stampers, and that the cost difference between pressing eg 50 and 1000 is minimal. it is possible only a few hundred were actually sold of a few titles, but unsold copies were likely exported as copies of tudor lodge, dr z and catapilla turn up all over the place in south america, usa, australia etc. this is not to say the lps are overpriced, demand is high as the label is the jewel in the crown on the british progressive rock empire. the rarest vertigo releases are the promo only samplers issued as white labels in 1969/1970, one was found with promo release sheets stating 20 were pressed. there are 2 or 3 different samplers known to exist. nothing else on vertigo, or dawn, or harvest is actually "rare". this golds true of every major label uk lp. there are only a very few major label lps that seem to be genuinely rare, eg nicholas greenwood - cold cuts and wooden horse 2, etc, so if you see a dealer listing eg dr z on ebay and proclaiming "only 100 pressed" its a lie. i can't say that i've ever heard a vertigo release that was questionable in any way ahape or form. imho... one of the greatest labels of all time. but then again...what do i know. Vertigo 824 524 - 1 = Jan Akkerman & Thijs van Leer - Focus, UFO logo, 7 track LP, NL, both are members of "Focus"